This project was completed for 2-Dimensional Design (ARTS 1311) class for my Digital Media Degree program at Northwest Vista. 2D Design is an intro to Photoshop class, however my professor decided to take an old school approach by going back to the basics and had me do an assignment on a physical canvas. The goal here was to use non representational lines for this composition. Nice job using line to help illustrate the meaning of hell. 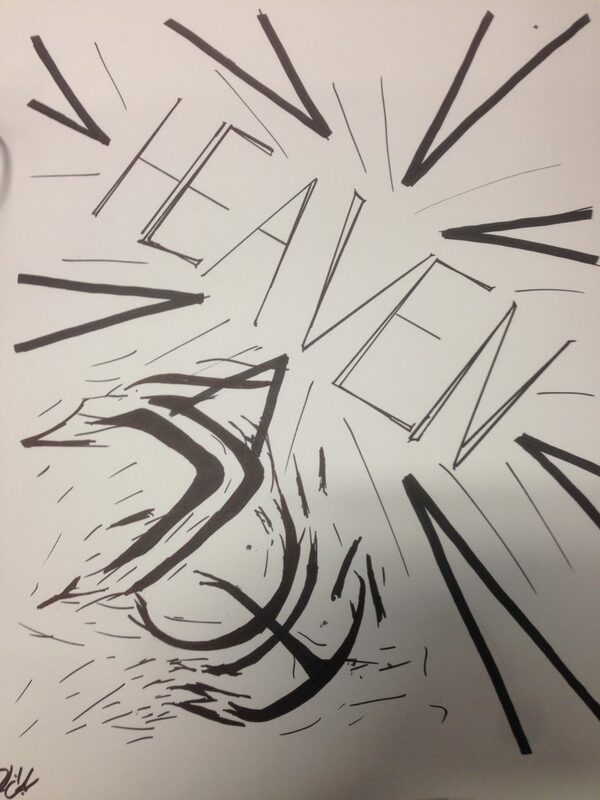 The line quality in heaven could be pushed more to emphasize its meaning. Good use of placement and proportion to help balance the compositional space. Omitting a few lines below heaven would help unify the space.